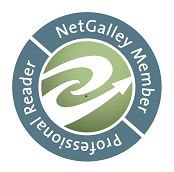 Genre/s: SciFi/Fantasy, Slice-of-Life, LGBT, Speculative Fiction, Fiction for a Cause. 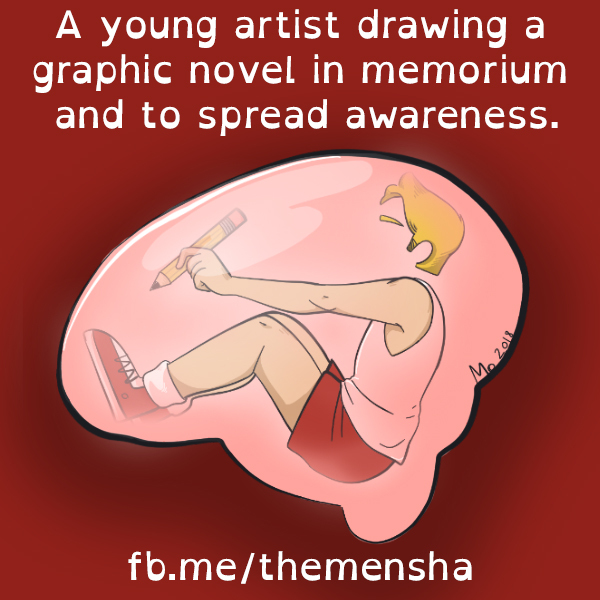 Themensha is a graphic novel written and drawn by a young artist in memory of their grandmother and for Dementia Awareness. Morven Moeller (pen name MxKnowitall) is the author and an artist who creates gender non-conforming art. The book is based on real events and in memory of their grandmother. 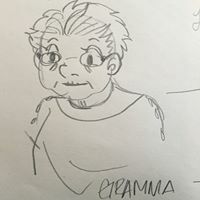 It's about a grandmother with Dementia/Alzheimer's and her interactions and legacy left on her transgender/non-binary grandchild. 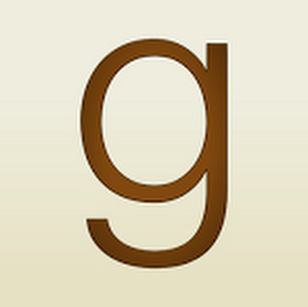 People will ‘pre-order’ the book through the Kickstarter for the first run. The publisher said they’d double the print run for anything over 100 orders. The author plans to sell any additional books in the Dreampunk Press online store or in-person at conventions (which they go to regularly to sell their artwork). Morven is hoping for at least 60 pre-orders, or even better, 250 because it’ll be a better print quality. However unlike other pre-orders, these will cost the same as the actual book, $12 (plus shipping). 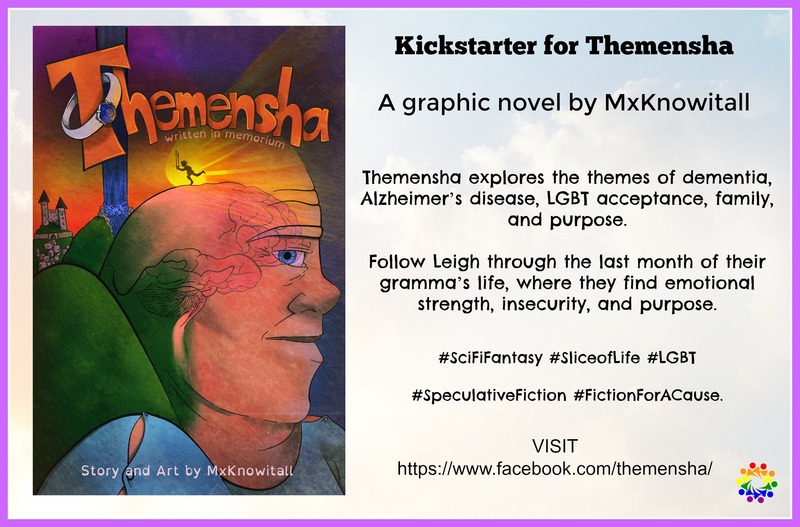 Themensha explores the themes of dementia, Alzheimer’s disease, LGBT acceptance, family, and purpose. Follow Leigh through the last month of their gramma’s life, where they find emotional strength, insecurity, and purpose. The purpose of this Blog Tour is to promote the Kickstarter project running from June 1 - July 1.
depending on how much you pledge. MxKnowitall, aka Morven Moeller, is a young artist out of Hampton Roads Area of Virginia. They are agender, preferring they/them pronouns, however they don’t consider that a huge part of their identity and other pronouns are also acceptable. They have a degree in Applied Mathematics and are finishing graduate study in Mission Analysis and Engineering. This may seem somewhat peculiar, but most things about Morven are peculiar. They have multiple LGBT novellas spanning from middle-grade to new adult genres and currently eat a lot of rice and veggies due to a cacophony of medically-necessitated dietary restrictions. They are a huge anime and animation fan, and that appreciation is often an influence on their work. Their interests often include LGBT topics, autism awareness, anime fandom, fanfiction, and their loving friends and family.